When picking books for my annual RIP Challenge this fall, I thought I'd include a few middle-grade and YA books from my bulging TBR shelves. I found an ARC of City of Ghosts by Victoria Schwab and added it to my pile because a) it's about ghosts which is perfect for RIP, and b) everyone has been raving about this novel, which was released in August. Now I understand why! I loved this spooky, funny ghost story set in Scotland. Cassidy almost drowned (technically, she did drown) and now she can see ghosts. She can even pull back the Veil, her word for the fabric-like barrier between our world and the spirit world, and visit that other place. In fact, her best friend, Jacob, is actually a ghost and the one who saved her from the icy river. Coincidentally, Cass' parents write books about ghosts and haunted places. They write from historical (her dad) and legend/myth (her mom) perspectives, but they would flip out if they knew their daughter actually sees ghosts all around her. When her parents get a new job hosting a TV show about the world's most haunted places, their first location is Edinburgh, Scotland, so the family heads off to the City of Ghosts, as it's known, to investigate its history, myths, and spirits. But when you can actually see and interact with ghosts, visiting the city's most haunted places is whole lot scarier and less fun than her parents realize...in fact, it gets downright dangerous for Cass. Thankfully, she meets another girl like her who reluctantly teaches her some things she didn't know about the Veil. Did I mention I loved this book? I flew through its pages in just a few days and enjoyed every minute of it. Cass' ghostly experiences are intriguing and just scary enough to be fun (not too scary for most older middle-grade readers) and are based on the real-life history and legends of Edinburgh. Jacob's somewhat sarcastic banter (which only Cass can hear) adds a nice note of humor to the narrative that keeps the story from getting too dark. I was engrossed in the friends' adventures in spooky Scotland from beginning to the end which came much too quickly. 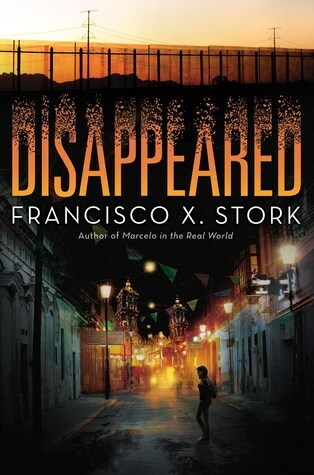 I was thrilled to see this is the first book of a new series (according to Goodreads - I hope it's true!) and can't wait to follow Cass to other exciting and haunting locations. Maybe New Orleans next? 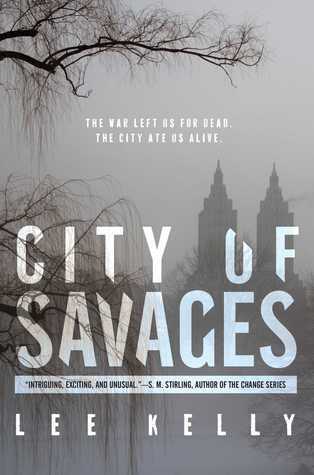 I really enjoyed reading City of Ghosts, but the audio book sounds great, too! Listen to a sample of it here. Or you can order City of Ghosts from Book Depository, with free shipping worldwide. 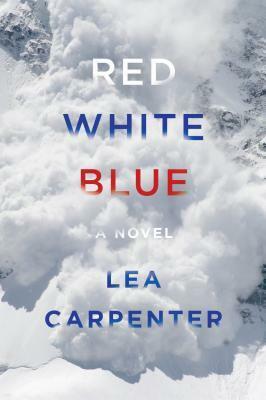 My review of the unique novel Red, White, Blue by Lea Carpenter was published recently on Shelf Awareness. You can read the full review at the link. Although the novel is about a CIA spy, it is not your typical spy thriller. 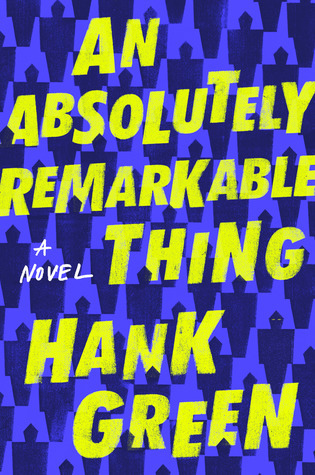 Instead, it is a quiet look into the inner life of a recently deceased CIA operative, as seen through the eyes of his adult daughter - who had no idea he worked for the CIA - and also from the perspective of one of his colleagues. The novel is written with very short (sometimes just a half page) chapters that alternate between those two points of view, as the agent's life is slowly revealed. You can read my full review on Shelf Awareness. 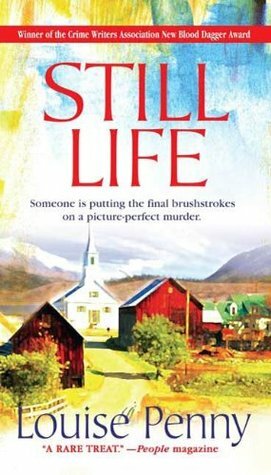 When one of my book groups chose Still Life by Louise Penny (her first Chief Inspector Gamache novel) for our September discussion, I was happy for two reasons: the mystery fit with my RIP Challenge for fall, and LOTS of my friends like Penny's novels and have recommended them. I enjoyed this classic detective mystery, set in a small village in Quebec. Chief Inspector Gamache is called to the small rural town of Three Pines when an elderly woman is found dead there one morning on Thanksgiving weekend (which is in October in Canada). She seems to have been killed by an arrow, and it is bow-hunting season, so it could have been an accident. Besides, who would want to hurt sweet Jane Neal, who seemed to be loved by everyone? Gamache, though, suspects foul play and approaches the case with his way of quiet observation, along with his team, including his usual sidekick Inspector Jean Guy Beauvoir and new, abrasive rookie Yvette Nichol. The townspeople are stunned by Jane's death and a bit flustered by the police presence in the midst of their normally quiet village life. In our book group, we all agreed this is a unique approach to a mystery novel, in which the residents where the crime took place are just as central to the story as the investigators. Throughout the novel, the reader gets to know the villagers, as well as the police officers investigating the crime, quite well. 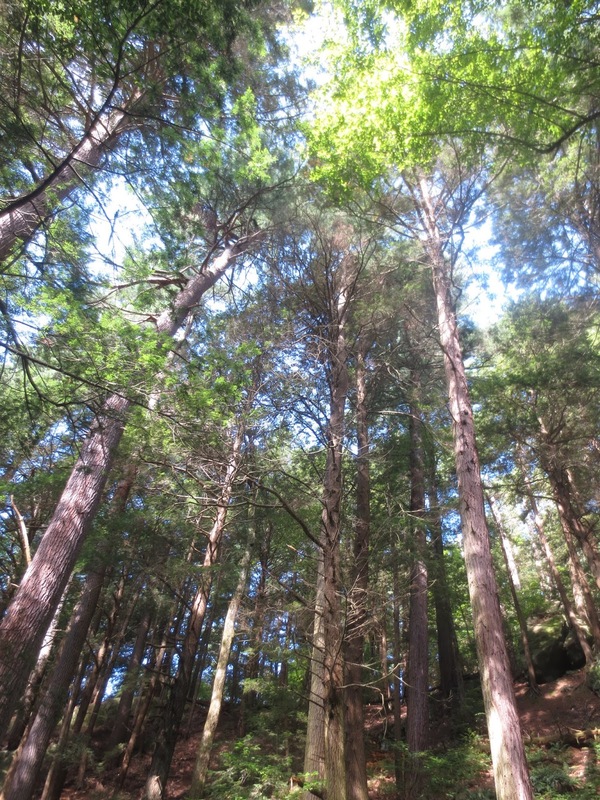 We found out that the rest of Penny's books in this series all take place in Three Pines, which explained the character development but also made us wonder how so many murders could take place in such a small, quiet village! There are 12 Chief Inspector Gamache novels out so far and another one due soon. I don't usually read this sort of classic mystery/police procedural very often anymore, but I very much enjoyed Still Life. In fact, it grew on me the more I read, as I got to know the characters better. Most of my book group agreed we'd like to live in Three Pines and hang out with these people (except for all the murder, of course). Penny included a raft of dead ends and red herrings that kept us all guessing, and only one person figured out whodunit before it was revealed. She also incorporates a wonderful sense of humor that occasionally had me laughing out loud. I would definitely read another novel in this series. P.S. My only remaining question is why French Canadians swear by saying Tabernacle! The audio book sounds like it would be a great way to read Still Life - then you could hear the French Canadian words pronounced properly, too (though I enjoyed using my high school French!). Listen to a sample of the audio here. Or you can order Still Life from Book Depository, with free shipping worldwide. During our mini vacation last weekend in the Berskshires, my husband and I watched a movie in our rental apartment one night: Ocean's 8, an all-female addition to the popular series that began with Ocean's 11 about groups of cons pulling off cool capers. Sandra Bullock stars as Debbie Ocean, sister to renowned con man Danny Ocean, played by George Clooney in earlier Ocean movies. Debbie has just been paroled from prison, but instead of staying out of trouble, she immediately begins gathering old friends together for an impossible caper: stealing jewels from the Met Gala, the most exclusive celebrity event of the year. First, she recruits her old friend, Lou, played by Cate Blanchett. Their plan involves asking washed-up designer Rose, played by Helena Bonham Carter, to convince big-time celebrity Daphne Kluger, played by Anne Hathaway, to let her "dress her" for the ball, including wearing the most expensive necklace in Cartier's vault. They also recruit jeweler Amita, played by Mindy Kaling, computer whiz Nine Ball, played by Rihanna, talented pickpocket Constance, played by Awkwafina, and soccer mom/fencer of stolen goods Tammy, played by Sarah Paulson. Once they have their team assembled, the fun begins, with each member using her talents to bring their plan to fruition. As in all caper movies, the climax is the event itself, watching the team's plans become reality as they they create illusions, play their roles, and make the impossible happen. 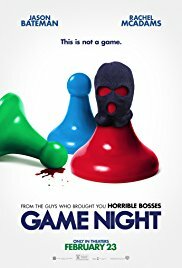 Like the other Ocean's movies before it, this film is just pure fun. The twist of an all-female criminal crew adds to the entertainment, with - as always in this series - a slew of top-name actors playing the lead roles, and quite a few cameos and bit parts by equally big actors and other celebrities (some of them play themselves at the Met Gala). It's fast-paced, action-packed, and oh-so-clever, and we thoroughly enjoyed watching the plan unfold. And, as always, there are some twists in the plot that we never saw coming. All in all, it's straight-up entertainment, with plenty of suspense, laughs, and eye candy. 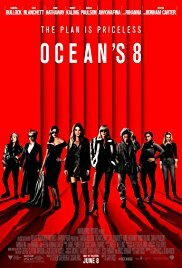 Ocean's 8 is currently out on DVD and streaming, available on Amazon Prime to rent starting at $4.99. Wow, last week flew by in a blur! 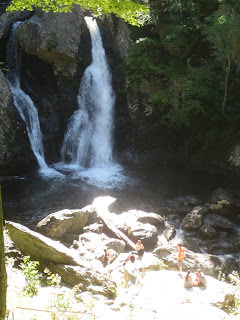 It was a busy week, with several medical appointments, two writing assignments due, and lots of catch-up from our few days away (you can see some photos of our vacation on my Saturday Snapshot post). The weekend was similar, with a LOT of home catch-up, paying bills, filing, going through the mail, and finally clearing my accumulated e-mails. 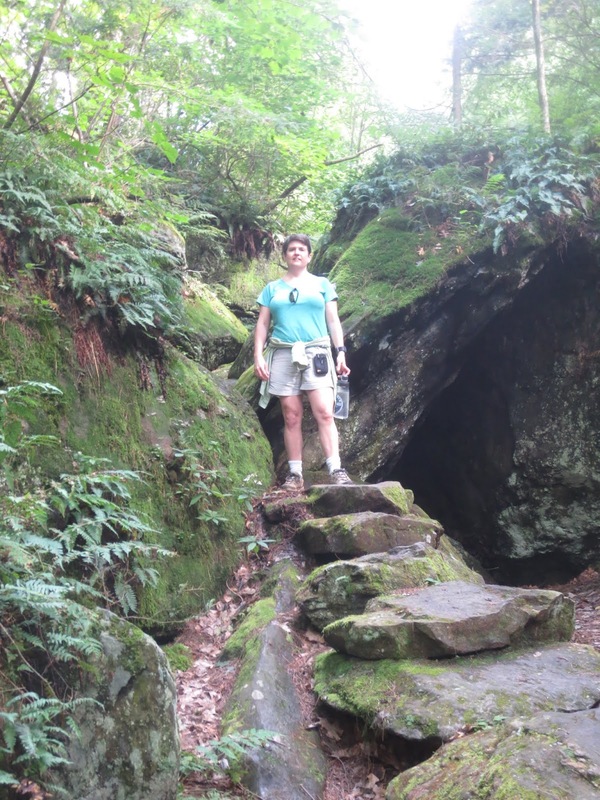 I did make time for some fun this weekend, too, though. Saturday evening, we went out to dinner with friends and to a local production of Fun Home that was AMAZING! 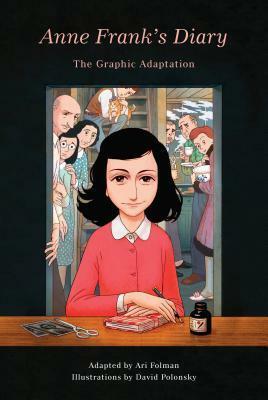 I loved the graphic memoir the play is based on when I first read it and was disappointed to have missed the Broadway show that closed last year after winning 5 Tony Awards, including Best Musical. But I was stunned by the quality and professionalism of this community theater production (grown-up Allison was played by one of our kids' old band teachers!). The show was moving, powerful, and funny; I literally laughed and cried. If you haven't seen it yet, watch for a local production near you. I finished reading Still Life by Louise Penny for one of my book groups. It's the first novel in her Inspector Gamache mystery series. I've heard great things about Penny's novels for years, so I was glad for the chance to finally try one. It's a classic mystery/police procedural set in a small town in Quebec. Though I don't read a lot of mysteries these days, this novel really grew on me, and I thoroughly enjoyed it. We discussed in book group that it is unique in making the villagers primary characters (instead of just the investigators, as is more common in mysteries) - apparently, all 12 books in this series take place in this village (that's a LOT of murder in a small place!). I would definitely read another in the series. 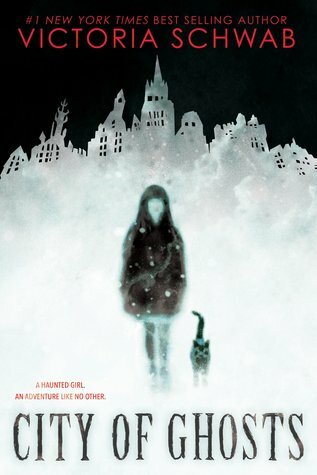 Next, I blew through a quick middle-grade novel that's been getting a lot of good press lately: City of Ghosts by Victoria Schwab. This one was perfect for the RIP Challenge, as it is a ghost story, about a young girl named Cass who almost died and can now see ghosts all around her and can cross through the Veil, her word for the thin barrier between this world and the spirit world. Cass' parents write books about ghosts and now have a TV show, so the family travels to Edinburgh, Scotland, for the show. I really enjoyed this novel and am excited that it is the first of a series - I can't wait to read more! I just started reading reading Waking Gods, book 2 of The Themis Files by Sylvain Neuvel. My husband, Ken, and I both loved book 1, Sleeping Giants, and he just finished reading book 2, so now it's my turn! It's a suspenseful and thought-provoking trilogy about a giant hand found buried that is definitely not human-made. I am so excited to get back to this fabulous series! On our road trip, Ken and I started listening to Not If I Save You First by Ally Carter, a YA thriller. We went with a YA novel because it was a short trip (even so, we haven't quite finished it yet), though my husband has little patience for the teen romance angle! Luckily, it is mostly a suspenseful survival thriller set in Alaska, with the President's son getting kidnapped while visiting an old friend. We just have a few chapters left. Ken finished reading a book I gave him for Father's Day, The Keeper of Lost Causes by Jussi Adler-Olsen, which the cover says is the "First Department Q Novel." Ken says it's about the dark underbelly of Denmark, and it was really good. 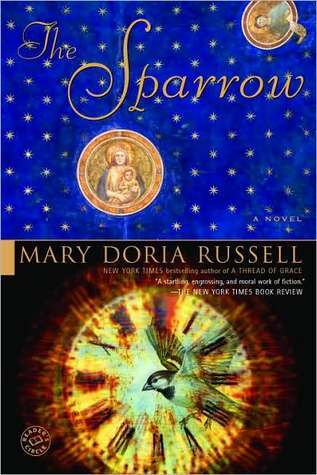 Ken is now reading The Sparrow by Mary Doria Russell, a book I read for Big Book Summer this year and LOVED! It's the story of a group of people, including some Jesuit priests, who travel to another galaxy in search of extraterrestrial life. Something horrible and tragic happens during that mission, and only one man returns (not a spoiler). The novel begins with the present (2060), after the mission, and flashes back to the first ideas of the mission, ironically in 2019 (the book was published in 1996), and gradually fills in what happened in between. It is compelling and completely unique - a very powerful and thought-provoking novel. He's just at the beginning, and it starts kind of slowly, with lots of character development, but I told him it picks up its pace once the mission begins. Our son, Jamie, 23, had to set aside book 12 of the Wheel of Time series by Robert Jordan, The Gathering Storm, co-authored by Brandon Sanderson, because he didn't have it with him. Instead, he started reading Words of Radiance, which is book 2 in the Stormlight Archive by Brandon Sanderson. He loved book 1, The Way of Kings, and has been looking forward to reading the rest of the series. 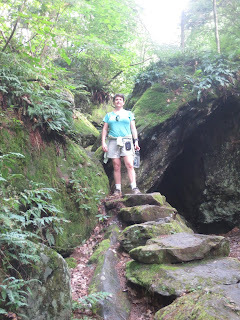 My Sign-Up for Readers Imbibing Peril 13 - I love the RIP Challenge every fall! After two false starts, my husband and I finally got out of town! Our week-long camping & kayaking trip had turned into a long weekend in a small Airbnb apartment, but it ended up being a wonderful getaway. We stayed on Main Street in Great Barrington, a beautiful town in the Berkshires in western Massachusetts, with lots of great restaurants and TWO bookstores! I'll post separately about the food and bookstores. BLUE SKIES!! Hadn't seen those in many weeks! Mostly lots of green still, but one lone red tree is ready for fall! 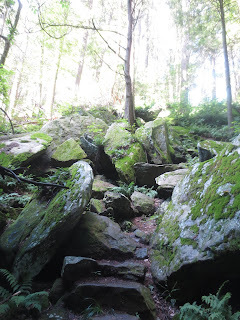 Ice Glen Trail in Stockbridge, MA - lots of rocky climbing! I guess the trail goes through there! Trail to Bash Bish Falls was straight down & then straight back UP! I have enjoyed Chris Bohjalian's novels for many years, including The Double Bind, Skeletons at the Feast, Midwives, The Night Strangers, Before You Know Kindness, and Close Your Eyes, Hold Hands. Since I received The Sleepwalker from my husband as a gift last year and had hoped to read it for my 2017 RIP Challenge, it was the very first book I tackled for the 2018 RIP Challenge this fall. As always, Bohjalian did not disappoint, with this unique and creepy tale of a sleepwalker who goes missing. Annalee Ahlberg is a wife, mother, architect, and sleepwalker. As the novel opens, Annalee's daughters, Lianna, twenty-one, and Paige, twelve, wake up one morning to discover that their mother is missing. Given her history of extreme sleepwalking - she once walked to a local bridge in the middle of the night and might have fallen off if Lianna hadn't found her - the police are called immediately and Annalee's husband, Warren, flies back from his business trip. One of the detectives is Gavin Rikert, who is young and handsome and seems especially interested in the case. As time passes, most people assume that Annalee is dead, but her daughters don't stop looking for her. The story is told from Lianna's perspective, looking back on that time years later as an adult. Before each chapter, there is a separative brief narrative from an unknown source that sounds like the diary or confessions of a sleepwalker, which adds lots of fascinating facts about sleepwalking. Lianna's story slowly unfolds as it did back then, in the days and weeks after her mother disappeared. The mystery of her disappearance gradually unravels, as Lianna, Paige, and Warren grapple with the aftermath. This is not an action-packed thriller but a haunting mystery with a slow burn that delves into family relationships (and secrets) and Lianna's struggle to cope alongside the search for answers. As with all of Bohjalian's novels, The Sleepwalker is beautifully written and fits together perfectly like a puzzle. It keeps you guessing right up to the last pages with its gripping, quiet suspense. Now, I have some catching up to do; Chris Bohjalian has published ten more novels that I haven't read yet! I can't wait to read another. 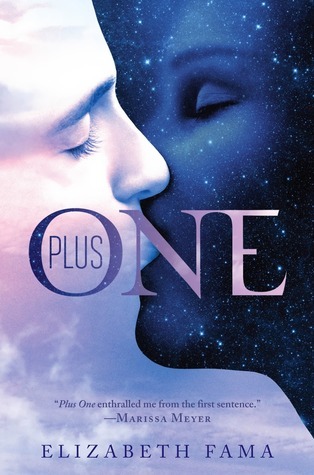 Though I didn't listen to this on audio, the audiobook sounds good - listen to a sample here. Or order The Sleepwalker from Book Depository, with free shipping worldwide. As much as I love my Big Book Challenge every summer, I also eagerly look forward to the beginning of September and the annual Readers Imbibing Peril (or RIP) Challenge. It's extra incentive for me to catch up on some of the many dark and creepy books piling up on my TBR bookcase (which now has double rows on most shelves - gulp). That's a pretty broad swath of reading, and I have LOTS of books waiting on my shelves to be read that fit. I used to read exclusively mysteries, suspense, and thrillers years ago, and my husband still favors those genres, so I have a lot to choose from. I started with The Sleepwalker by Chris Bohjalian, which was excellent and suitably creepy and suspenseful, and I am now reading Still Life by Louise Penny, a mystery/police procedural. The iPod is there to signify my first audiobook for RIP that I finished last week, Dark Saturday by Nicci French, a mystery, and the one my husband and I started this weekend, Not If I Save You First, a YA survival thriller by Ally Carter. For the rest of the challenge (other than what I need to read for my review job), I plan to read exclusively RIP books. Here is an assortment I have here to choose from, though I could have stacked up triple this number easily! So, I have a nice wide assortment to choose from - the first pile is YA or middle-grade and the second pile is adult novels, ranging from mystery to suspense to sci fi thrillers to ghost stories. Despite the few dried leaves I found on my deck for the photos, it still looks and feels very much like summer here, so I am glad that at least my reading has a fall chill to it! I enjoy the RIP Challenge every fall - if you want to join the fun, too, the details and link-up post are here. 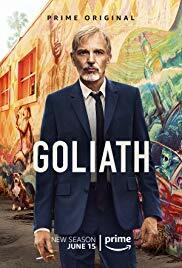 My husband and I just finished watching season 2 of Goliath, an Amazon Prime original show starring Billy Bob Thornton. Thornton plays Billy McBride, a talented but disgraced lawyer living in L.A. He drives an old convertible, drinks way too much, and takes on small cases, nothing like what he used to do in the huge law firm that he helped start. Little by little, we find out about the case that sent Billy into a tailspin. Meanwhile, Patty, a real estate agent and part-time lawyer played by Nina Arianda, approaches him to ask his help on a case: a woman whose husband was killed in an explosion on a boat. The man's employer, a large and powerful corporation and the Goliath of the title, claims it was an accident, but his wife suspects something far more sinister. Patty convinces McBride to take the case, and against his better judgement, Billy finds himself drawn into it. Tania Raymonde plays Brittany, a prostitute who Billy has helped in the past and who sometimes serves as his legal secretary. The large corporation they are suing is represented by Billy's old firm (another Goliath), now run by Donald Cooperman, Billy's old partner played by William Hurt, who is a creepy recluse who spies on his employees and holds a grudge against Billy. Maria Bello plays Michelle McBride, Billy's ex-wife who still works for his old firm. The plot is intricate and engaging, as each episode goes deeper and deeper into the legal case and the circumstances surrounding the man's death, providing plenty of suspense. The cast is outstanding and really pulls this show up to a higher quality than most TV shows. Billy is a screw-up in many ways, but you can't help but like him, with his crooked smile and fervent belief in justice. The rest of his team is just as likable, while William Hurt's performance as Cooperman is the perfect bad guy you love to hate (he's super creepy). Season 1 of the show follows this case through to its conclusion. In season 2, Billy and his team are back, though I won't say much more about their circumstances to avoid spoilers of the first season. This time, Billy is drinking more than ever but is asked by his friend Oscar, played by Lou Diamond Phillips, to represent his 16-year old son, who is being held as a murder suspect. Oscar is certain his son is innocent, and Billy has known the boy for years, so he reluctantly gets pulled into the case. This time, the Goliaths and conspiracies are even bigger, involving the police, a drug cartel, and politics. This second season was far more gruesome and violent, with a couple of really warped people at the center of things. My husband and I were joking about needing to watch something more uplifting after watching Goliath this season, like an episode of Breaking Bad! It's pretty dark. I definitely preferred season 1, though season 2 still had a compelling plotline. It's really worth watching just for Billy Bob Thornton. Interestingly, though season 1 was enjoyed equally by critics and viewers, Rotten Tomatoes shows that for season 2, critics rated it an average of 86%, while regular viewers gave it only 53%. Season 1 and Season 2 each feature 8 episodes and are available exclusively through Amazon Prime (at the links provided). You won't believe this, but our vacation plans got thwarted once again last week (that's 3 times in the past month, if you are keeping score!). We spent all day Tuesday packing up, getting the camper ready, putting the kayaks on the truck. By evening, we were ready for an early morning start the next day...and my husband noticed that transmission fluid was leaking out of the truck....a lot of it! He figured out what part was leaking, and we made calls to all the Honda dealers in the area and a bunch of independent garages, but no one could get the part in until Thursday (this is an ongoing problem with our older cars!). So, we once again cancelled our camping reservations, with no way to tow our camper. Out of options for the outdoor vacation we'd planned, we booked a tiny Airbnb apartment in Great Barrington, MA (near the park where we wanted to camp and one of the towns we'd planned to visit), and once again cut the trip down by another day (lodging is a lot more expensive than camping!). Finally - FINALLY - we left town on Thursday!! It was a mini vacation instead of the week-long camping trip we'd planned, but it turned out very well. 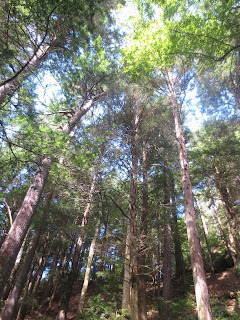 Great Barrington is a wonderful town in the Berkshires (with 2 bookstores! ), and our little apartment was right on Main Street, so we could walk to restaurants and other places. We went on 3 beautiful hikes - it is such a gorgeous area, filled with forests, rivers, lakes, mountains, and waterfalls - so we got some outdoor time. More details coming this week on the blog - photos, restaurant reviews, and bookstore reviews. Overall, it was a relaxing little getaway - and man, did we need it! Back home now, with two cars to pick up from repair shops (though Volkswagen just called to say they found another problem with mine and it's not quite ready yet - it's been there for 8 weeks now!) and two borrowed cars to return, and another tropical storm on the way. Oh, well, at least we had 3 days of beautiful weather and relaxation. I finished my next review book, The Rain Watcher by Tatiana De Rosnay (due out in October), author of Sarah's Key. It's about a family that comes together in Paris for a birthday/anniversary celebration in the midst of a natural disaster, with heavy rain causing historic flooding of the Seine and inundating the city while they deal with their own family crises. It's an immersive family drama set against a dramatic backdrop, though not a great choice for me last week, stuck at home because of the storm! Now, I am back to my dark and creepy reading for the R.I.P. 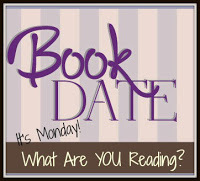 Challenge, reading Still Life by Louise Penny for one of my book groups. It's the first novel in her Inspector Gamache mystery series. I've heard great things about Penny's novels for years, so I am glad for the chance to finally try one. It's a classic mystery/police procedural set in a small town in Quebec, and I'm enjoying it so far. I finished listening to Dark Saturday by Nicci French, another good choice for the R.I.P. Challenge. When I chose this one for review, I didn't realize it was part of a series (the Frieda Klein series), but there were some hints throughout to catch me up. The titular British psychologist is asked to look into an old murder case, where a girl (now a woman) was convicted of killing her parents and has been in a mental institute ever since. It was dark and gripping, though I do think I missed some bits of the ongoing story and character details by coming into the series in the middle, but it was a good thriller with an unexpected ending. On our road trip, my husband and I started listening to Not If I Save You First by Ally Carter, a YA thriller. We went with a YA novel because it was a short trip (even so, we haven't quite finished it yet), though my husband has little patience for the teen romance angle! Luckily, it is mostly a suspenseful survival thriller set in Alaska, with the President's son getting kidnapped while visiting an old friend. 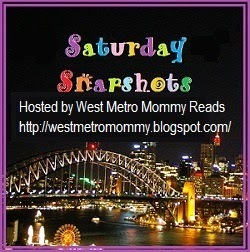 We have a few chapters left - maybe we'll listen while doing all those car pick-ups and drop-offs! My husband, Ken, is reading a book I gave him for Father's Day, The Keeper of Lost Causes by Jussi Adler-Olsen, which the cover says is the "First Department Q Novel." Ken says it's about the dark underbelly of Denmark. Our son, Jamie, 23, is reading book 12 of the Wheel of Time series by Robert Jordan, The Gathering Storm, which is the first one that was co-authored by Brandon Sanderson. He was sick all last week, so he may have finished it by now! 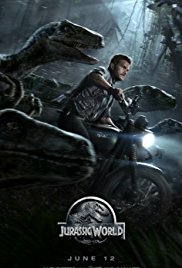 Movie Monday: Jurassic World (2015) - We all enjoyed it! Yup, I'm still here. 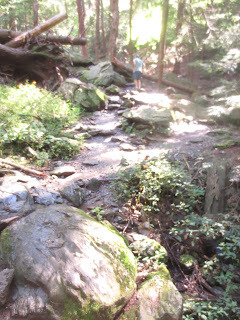 I was supposed to be on vacation all week - relaxing, camping, and gloriously unplugged! But with this tropical storm sitting on top of the entire Northeast for 3 days, we had to (again) cancel the first half of our trip. Luckily, it looks like Hurricane Florence will stay far enough to the south of where we are going (NY/MA border area) that the end of the week forecast still looks beautiful up there, and we tacked an extra day onto the end, so we are hoping to still manage a 4-day trip later this week. Pretty depressing, though, when we are supposed to be on vacation enjoying the outdoors and are instead still home watching the rain out the window. We have had some really bad vacation mojo this year! I finished my first dark and creepy book of the season for the R.I.P. 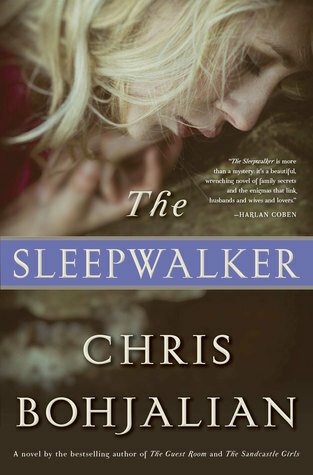 Challenge: Sleepwalker by Chris Bohjalian. I am a big fan of Bohjalian's novels, and this one has been on my shelf since Christmas, so I am glad to get it. It's a suspenseful story of a woman who sleepwalks and just disappears one night. Her husband and daughters (and the police) fear the worst when she doesn't turn up right away. It's slow burn suspense with Bohjalian's typical twisty plotting and in-depth characterization (and a lot of fascinating information about sleepwalking). Now, I have briefly stepped away from the creepy reading for my next review book, The Rain Watcher by Tatiana De Rosnay, author of Sarah's Key (the title and concept are quite an ironic choice right now, given our own current weather!). It's about a family that comes together in Paris for a birthday/anniversary celebration in the midst of a natural disaster, with heavy rain causing historic flooding of the Seine. It's engrossing so far, with rich characters and lots of flashbacks to the son's childhood. I am still listening to Dark Saturday by Nicci French, another good choice for the R.I.P. Challenge. When I chose this one for review, I didn't realize it was part of a series (the Frieda Klein series), but there were some hints at the beginning to catch me up. The titular psychologist is asked to look into an old murder case, where a girl (now a woman) was convicted of killing her parents and has been in a mental institute ever since. It's good so far - dark and gripping - though I do think I am missing some bits of the ongoing story and character details by coming into the series in the middle. My husband, Ken, finished Waking Gods, book 2 of The Themis Files by Sylvain Neuvel. He and I both loved book 1, Sleeping Giants, and I gave him this one for Father's Day (I'm next!). It's a suspenseful and thought-provoking trilogy about a giant hand found buried that is definitely not human-made. He really enjoyed book 2, and I can't wait to get back to this fabulous series! Now, Ken is reading another book I gave him for Father's Day, The Keeper of Lost Causes by Jussi Adler-Olsen, which the cover says is the "First Department Q Novel." Ken says it's about the dark underbelly of Denmark. Our son, Jamie, 23, is reading book 12 of the Wheel of Time series by Robert Jordan, The Gathering Storm, which is the first one that was co-authored by Brandon Sanderson.